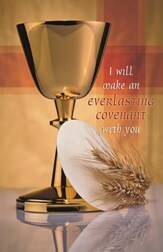 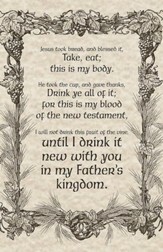 An Everlasting Covenant (2 Samuel 23:5) regular size bulletin features a chalice and communion elements. 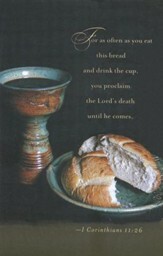 The text is from 2 Samuel 23:5. 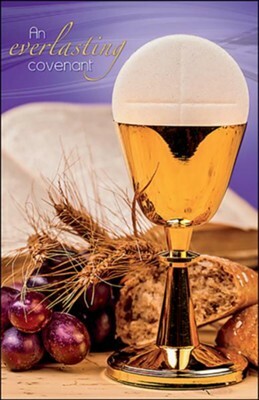 The bulletin is shown folded (8.5" x 5.5"), exactly as church members and visitors will receive it. Worship bulletins arrive packaged flat 8.5" x 11" to fit into your printer or copier; shrink wrapped in packages of 50. 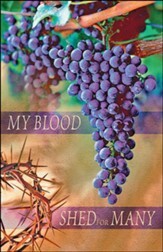 I'm the author/artist and I want to review An Everlasting Covenant (2 Samuel 23:5) Bulletins, 50.